It has been a growing concern of people that affordability of oral health care is getting steep. Dental treatments equate to spending a lot of money. For practical people, its second nature to save up and find means and ways to cut cost on their daily activities and future plans. As each year pass, the dental treatment costs soar and that poses a big problem for a lot of people. Some would even refrain from visiting the dentist and downplay dental problems and even avoiding it to some extent. The rate of people going out of the country to seek for a more affordable dental care treatment has increased over the past year. It is quite an extreme step just to see a dentist offering cheaper solutions for some but a revelation to others. Some even go to other foreign countries just so they could save and cut down their dental bills. Thus, dental tourism. 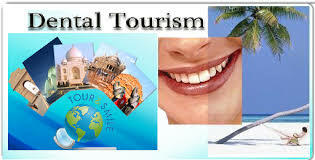 Dental tourism is like a vacation with a side trip of dental appointment. Arrangements for the flight and itineraries as well as the doctor you get to see are all prepared and customized much to your preference. Finding a cheap deal on dentist and treatment procedure fees plus getting to visit a different country and experiencing the local activities is the goal. It all sounds too good to be true but there is always two sides in every situation. Staying with your dental health care practitioner would mean that all treatments whether simple or complicated surgeries turning out wrong would have proper venues to state your dissatisfaction and concerns. Flying to another country would mean that in the event that your treatment or procedures you undergo fail and backfire, you would have a hard time to chase after them. The capability and skills of dentists in different countries vary. Experience the proper training results in successful patient recoveries and treatment. The complexity of procedures affects the cost because it takes special training and responsibility. When you choose to go overseas, there are no guarantees which mean anything can happen to you. Be sure to always search and investigate before undergoing dental surgery or procedure. The choice of which the dentist would perform your treatment would ultimately be yours alone. Planning ahead is the key to make sound choices. Although there are a lot of people satisfied with their experience, you should always take heed of warnings. Unfortunate events that lead to regrets for others should be lessons for you. It is nice that you make an effort to take care of your oral health. But it’s not good to risk it in the hopes of getting a cheaper deal and saving your money; cutting cost sometimes lead to complications and even life-threatening risks. Dental tourism may not be for everyone but if you are considering it be sure to ask a lot of questions and be more vigilant. You can start with this through a visit in your 24 hour dentists clinic.